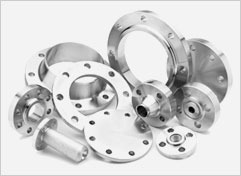 Pioneers in the industry, we offer carbon steel flanges, stainless steel flanges, welding neck flanges, blrf flanges, tube flange and pipe flanges from India. 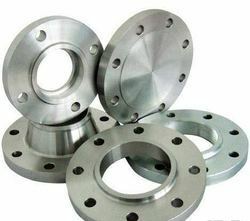 We Keddy Concept offer the best quality of Carbon Steel Flanges which are durable and come at affordable rates. Widely appreciated for its supreme quality the range can be availed in different specifications. 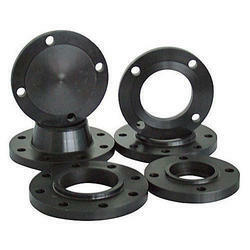 Topmost priority is given to customer satisfaction and hence the Carbon Steel Flanges are of international standards. 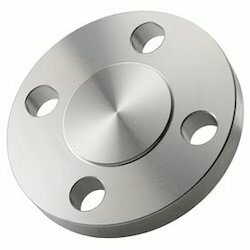 Stainless Steel 304 Flanges are robust and their universal specification design ensures that these can be fit properly to any pipe or systems. We Keddy Concept introduce ourselves as the prominent manufacturer, trader, exporter and supplier of a Welding Neck Flanges. These pipe flanges attach by welding the pipe to the neck of the flange. This transfers stress from the flange to the pipe instead. It also reduces the stress concentration from the base of the hub. 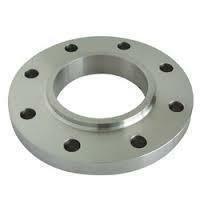 Weld neck flanges are often used for applications where high pressure is a factor. The inside diameter of the flange is designed to match the pipe's inside diameter. Weld Neck Pipe flanges with a hub have published specifications that range from 1/2" thru 96". Our company provides these in all material grades, specifications and sizes. We Keddy Concept introduce ourselves as the prominent manufacturer, trader, exporter and supplier of a comprehensive range of BLRF flanges. 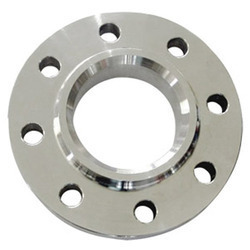 A BLRF flange is round plate which has all of the relevant boltholes but no center hole, and because of this feature this flange is used to close off the ends of a piping systems and pressure vessel openings. It also permits easy access to the interior of a line or vessel once it has been sealed and must be reopened. 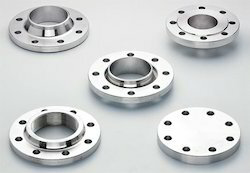 These Tube Flange are in accordance with the defined standards. All our Tube Flanges are widely used in industries like automotive. Further, we Keddy Concept also have the provision to customize our spare parts as per the specifications laid by the customers. We Keddy Concept introduce ourselves as the prominent manufacturer, trader, exporter and supplier of a comprehensive range of pipe flanges. A pipe flange is a disc, collar or ring that attaches to pipe with the purpose of providing increased support for strength, blocking off a pipeline or implementing the attachment of more items. They are usually welded or screwed to the pipe end and are connected with bolts. A gasket is inserted between the two mating flanges to provide a tighter seal. These flanges are either custom with dimensions provided by the customer or they are manufactured according to published specifications. Several organizations and associations have published specifications that provide dimensional information as well as pressure specifications at different temperatures. Our company manufactures custom designs and stocks six basic types of these products. 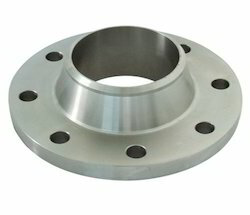 Although, these are the six most common types, we are a custom manufacturer as well and are able to create just about any type of flange necessary for your requirements. Please click on one of the following pictures for a more detailed description of the item you are interested in. Each page also has a video that provides a better understanding of the installation process. We Keddy Concept introduce ourselves as the prominent manufacturer, trader, exporter and supplier of a comprehensive range of flanges. A flange is a method of connecting pipes, valves, pumps and other equipment to form a piping system. It also provides easy access for cleaning, inspection or modification. Flanges are usually welded or screwed. Flanged joints are made by bolting together two flanges with a gasket between them to provide a seal. 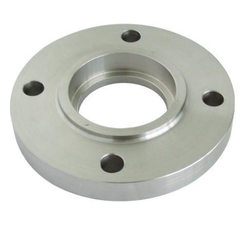 Keddy Concept is one of the leading manufacturer and supplier of Stainless Steel Lap Joint Flanges. 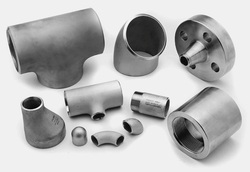 We Keddy Concept, are one of the Leading, manufactures & suppliers of PN Flanges . Keeping in mind the diverse requirements of the clients, we Keddy Concept offer an exceptional array of Stainless Steel IBR Flanges that are manufactured with accuracy. We offer them in varied dimensions and are durable in nature. Our entire product range is performance oriented. We Keddy Concept introduce ourselves as the prominent manufacturer, trader, exporter and supplier of a comprehensive range of Stainless Steel Blind Flanges. 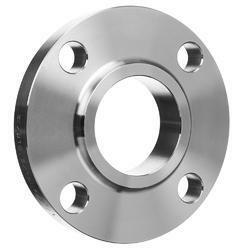 A Stainless Steel Blind Flange is round plate which has all of the relevant boltholes but no center hole, and because of this feature, this flange is used to close off the ends of piping systems and pressure vessel openings. It also permits easy access to the interior of a line or vessel once it has been sealed and must be reopened. Stainless Steel Blind Flanges are commonly used in petrochemical, pipe engineering, public services & water works. We Keddy Concept introduce ourselves as the prominent manufacturer, trader, exporter and supplier of a comprehensive range of Blind flanges. 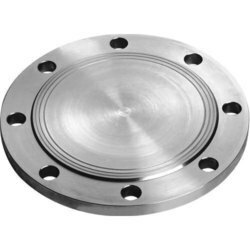 A Blind flange is round plate which has all of the relevant boltholes but no center hole, and because of this feature this flange is used to close off the ends of a piping systems and pressure vessel openings. It also permits easy access to the interior of a line or vessel once it has been sealed and must be reopened. We Keddy Concept are Suppliers and Manufacturer of Alloy 20 Flanges. We Keddy Concept are instrumental in offering our clients with SORF Flanges (Slip On Raised Face Flange) that are known for their quality, corrosion resistance and dimensional accuracy. Stainless Steel ASTM A 182 GR F304, 304L, 304H, 316, 316L, 316Ti, 317, 317L, 310, 310S, 321, 321H, 347, 347H, 904L etc. Carbon Steel ASTM A105/ A694 F42, 46, 52, 56, 60, 65, 70 / A350 LF2 etc. Alloy Steel ASTM A 182, GR F1, F11, F22, F5, F9, F91 etc.